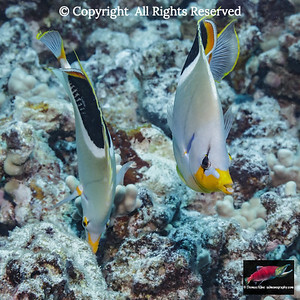 These photographs, which depict a pair or more fish, were taken while scuba diving and snorkeling in the Hawaiian Islands Cleaning symbiotic relationships are covered in a separate gallery. 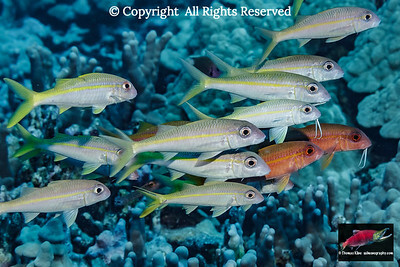 Whitesaddle Goatfish (Parupeneus porphyreus), a Hawaiian endemic fish, schooling off a reef at Maui, Hawaii. 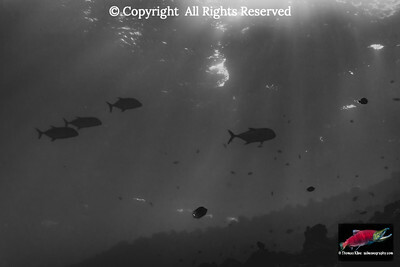 I looked up towards the surface to see four predators approaching, three Bluefin Trevalley (Caranx melampygus) and one Giant Trevalley a.k.a Ulua (Ulua aukea), while scuba diving off the backwall of Molokini Crater, Hawaii. 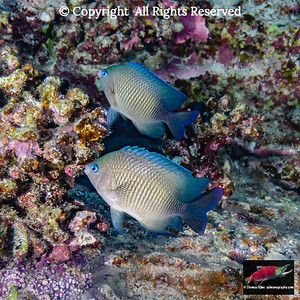 A pair of Blue-eye Damselfish (Plectroglyphiododon johnsonianus) next to a Molokini Crater reef near Maui, Hawaii. 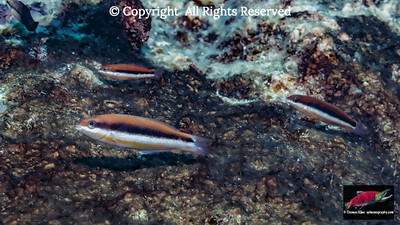 Brick and Bigscale soldierfishes aggregated (Myripristiis amaena and M. berndti) under a ledge at Molokini Crater, Maui, Hawaii. 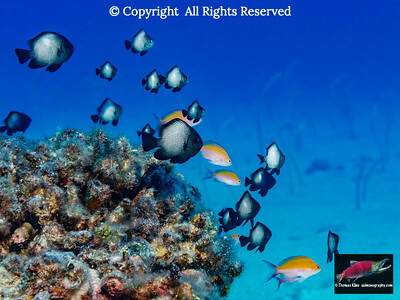 I Looked up to observe Pennant Butterfyfish (Heniochus diphreutes) feeding on zooplankton with surf forming the background off the backwall of Molokini Crater near Maui Island, Hawaii. 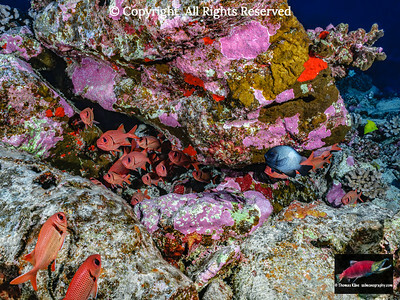 Bigscale and Epaulette soldierfish (Myripristis berndti and kuntee) and a few other fish cluster in and near a crevice under a submgered sponge and coraline algae encrusted lava boulder off Molokini Crater near Maui, Hawaii, USA. 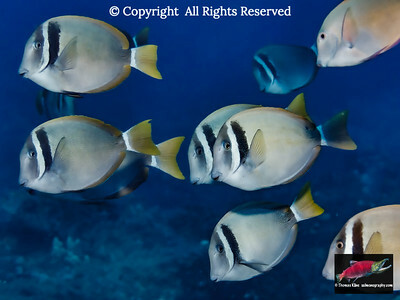 A group of Eyestripe Surgeonfish (Acanthurus dussumieri) feeding near a reef on the Kona coast, Hawaii. 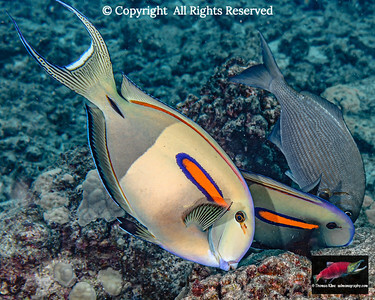 Two Orangeband Surgeonfish (Acanthurus olivaceus) and one Gray Cub (Kyphosus sandwicensis) grazing on turf algae on the Kona coast, Hawaii. A male Bullethead Parrot (Chlororus sordidus) fish takes aim before biting into turf algae growing substrate while a juvenile Orangeband Surgeonfish (Acanthurus olivaceus) looks on. 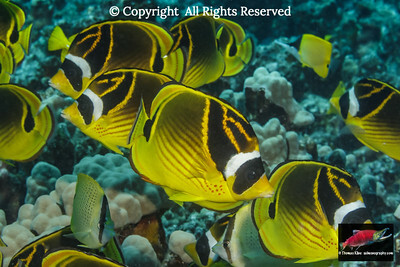 A group of Blacklip Butterflyfish (Chaetodon kleinii) cruising the Kona coast, Hawaii. 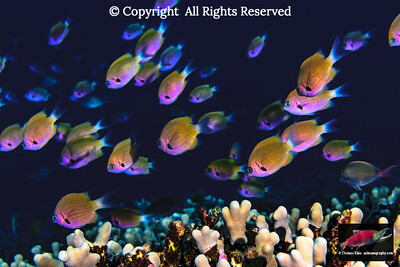 Agile Chromis (Chromis agilis) schooling over Finger Coral (Porites compressa). 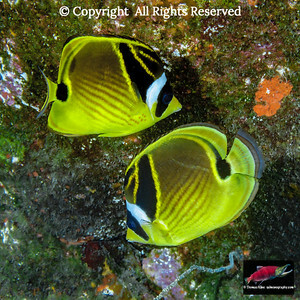 Racoon Butterflyfish (Chaetodon lunula) pair foraging near a lava rock reef encrusted with life at Kona, Hawaii. 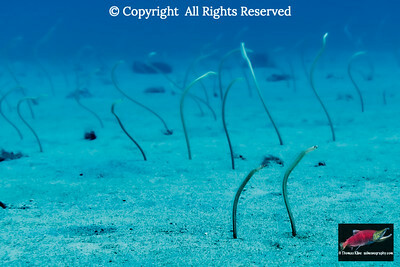 Hawaiian Garden Eels (Gorgasia hawaiienesis), an endemic fish species off the Big Island, Hawaii. 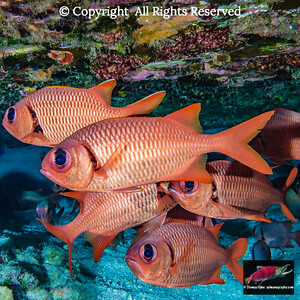 Hawaiian Dascyllus (Dascyllus albisella) and Bicolor Anthias (Pseudanthias bicolor) hover over a dead coral head. 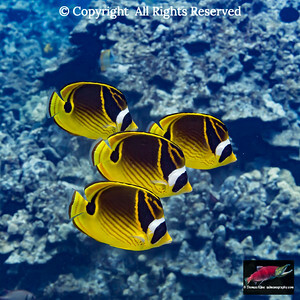 Four Racoon Butterfyfish (Chaetodon lunula) swim by as a group. 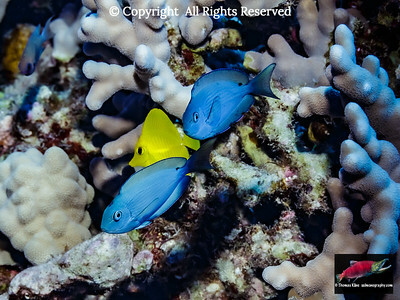 Juvenile surgeonfishes (Acanthuridae): two Thompson's Surgeonfish (Acanthurus thompsoni) with one Yellow Tang (Zebrasoma flavescens). 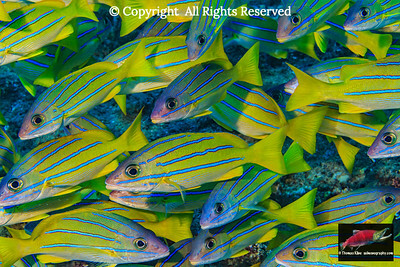 Schooling Bluestripe Snapper (Lutjanus kasmira). 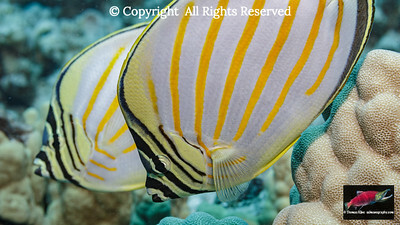 Closeup of a Milletseed Butterflyfish (Chaetodon citrinellus) in a tight school off Kaui, Hawaii, USA during the spring. 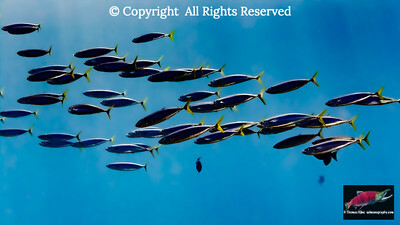 Schooling Whitebar Surgeonfish swim by. 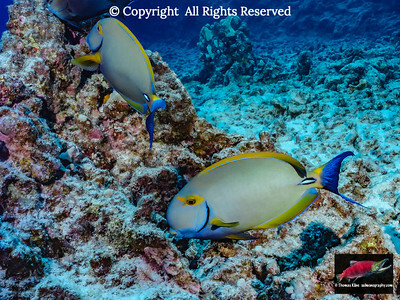 Schooling Whitebar Surgeonfish (Acanthurus leucopareius) swim by. 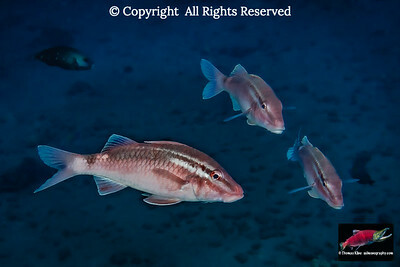 Yellowstripe Goatfish schooled (Mulloidichthys flavolineatus) up off the Kona coast, The Big Island, Hawaii, USA. 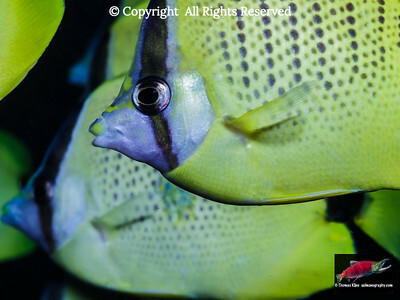 Close-up of an Ornate Butterfyfish (Chaetodon ornatissimus) pair photographed while scuba diving the Kona coast, Hawaii Island during the spring. 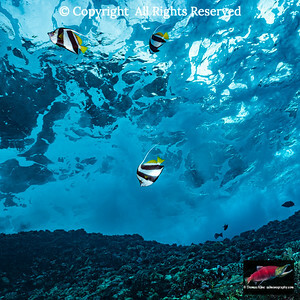 A Saddleback Butterfyfish (Chaetodon ephippium) pair photographed while scuba diving the Kona coast, Hawaii Island. 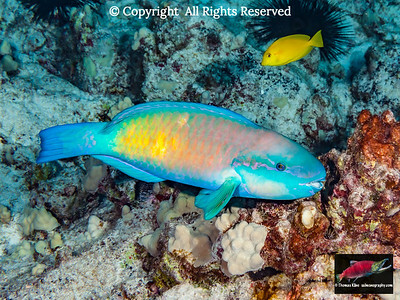 Juvenile Saddle Wrasse (Thalassoma duperrey) photographed while scuba diving the Kona coast, Hawaii Island. 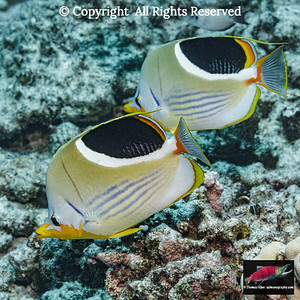 Racoon Butterflyfish (Chaetodon lunula) schooling off the Kona coast, Hawaii Island. 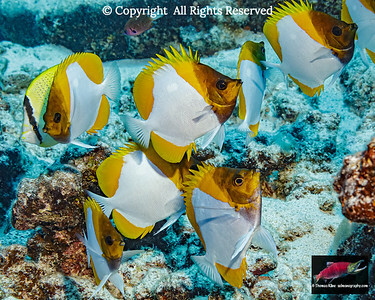 This photograph was taken while scuba diving with Jack's Diving Locker at Pawai Bay. 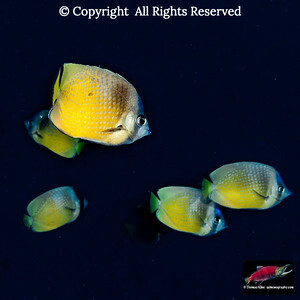 Pyramid Butterflyfish (Hemitaurichthys polylepis) photographed while scuba diving off the Kona coast, Hawaii Island. 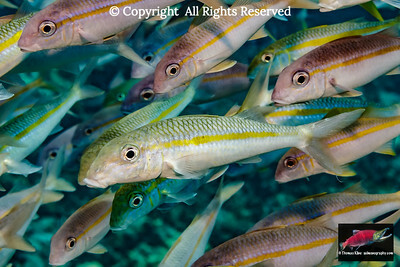 Yellowfin Goatfish (Mulloidichthys vanicolensis) schooled off the Kona coast, Hawaii Island during the spring. This photograph was taken while scuba diving with Jack's Diving Locker at Sand Channel Pawai Bay.